Today's MPL Live blogger is Sanjay Khan and the blog shall be updated every hour. Do post your inputs and suggestions. The Mooting Premier League Season 2, sponsored by Allen & Overy, standings are all set to change with the conclusion of the following four moots later today. If you are present at any of these locations, please post updates and inputs by way of comments. The moot is being organised at [[Symbiosis Law School, Pune]] and the problem deals with Net Neutrality issues. The second day of the competition began yesterday with 33 teams fighting it out and ended with 4 going through to the semis. Each team pleaded twice in the preliminary rounds. The quarter-final round saw a very close contest and ran late into the night. [[NLU Jodhpur]], [[NUALS Cochin]], [[ILS Pune]] and [[RGNUL Patiala]] got the better of their opponents to make it to the semi final rounds, which are about to begin in some time. 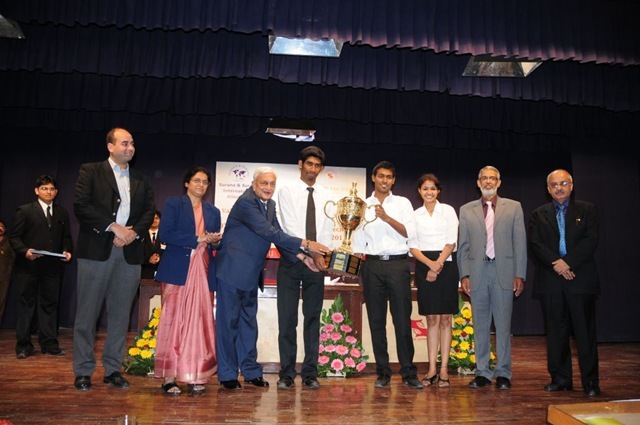 The other quarter finalists were CLC Delhi, [[GNLU Gandhinagar]], [[RMLNLU Lucknow]] and NLU Delhi. Justice Pradeep Nandrajog, Justice V.G. Pashikar (Retd.) and Rodney Rider will judge the final rounds later today. The winner of this moot shall take home 15 points. [[Campus Law Centre Delhi]] (CLC) is facing [[Nalsar Hyderabad]] in the finals, which are going on. Yesterday, Nalsar beat [[Government Law College, Mumbai]] and CLC overcame [[NUJS Kolkata]] to reach the finals. Final round is scheduled to get over by 1200 hours and the results are expected anytime thereafter. The winner of this moot will take home 10 points, while the runner up shall get 5 points. Nalsar, therefore, is all set to become the first team to cross the 100 points mark in MPL2. This moot is co-sponsored by the Competition Commission of India and [[Lakshmi Kumaran & Sridharan]] (LKS). The Competition Commission of India (CCI) was patron of the moot. The bench for the final comprises of V. Lakshmikumaran, Managing Partner at LKS; S. Seetaraman, Senior Partner at LKS; Manas Chaudhury, Partner and Head of Competition Law Practice at [[Khaitan & Co.]] Delhi; G.R. Bhatia, Partner and Head of Competition Law Practice at [[Luthra & Luthra Law Offices]] Delhi (both are former members of the CCI) and H.R.H. Sriji Arvind Singh of Mewar, member of the royal family of Mewar and custodian of Mewar dynasty, is the chief guest at the event and also an honorary member of the bench. He presided over the bench and exercised his option to not give scores. 25 teams participated in the moot. Do share with us your experience at this moot. NUJS will take on [[SOEL Chennai]] in the first semi final whereas RGNUL will face RMLNLU Lucknow in the second. NUJS will surely be eyeing at consolidating its lead in the MPL standings by winning this moot, which will earn it 10 points. Justice Markandey Katju is the chief guest at the valedictory function. The moot is being organised by Students Law Society Trust, Chennai along with the Law Students Association, Chennai of Dr. Ambedkar Government Law College, Chennai. We have been told that this moot has a very interesting set up. The problem relates to an arbitration proceeding and subsequent appeals to High Court and Supreme Court against the award passed. The teams are supposed to argue before each of these three fora. Moreover, the bench in Supreme Court comprises of seven judges, hence none of the arbitration related precedents would be binding on the court. Any more insights on the problem or other aspects of the moot? Post a comment. 12:15: Super six in Fiat Justitia: Because of its unique setup, there are no semi or quarter final rounds in the moot. Instead, there is an advanced round where six teams shall battle it out for the spot in finals (something like a super six stage). The super six rounds are currently going on and the teams are NUJS, NLU Jodhpur, NLU Delhi, CLC Delhi, [[Government Law College (GLC) Mumbai]] and [[V.M. Salgaocar Law College, Panjim]]. The finalist would be announced in about two hours. Do post your views about the structure of this moot. The judges at the finals are Justice M. Satyanarayana, Justice D. Hariparanthaman and Professor David Ambrose. 13:00: Semis results out for Surana IT. NLU Jodhpur has beaten RGNUL and NUALS has beaten ILS in the semis. Finals shall begin in about an hour. NUALS all set to move up from 10th position here. 13:30: Breaking from NLU Delhi Corp Law: RGNUL and NUJS reach finals. NUJS beats SOEL and RGNUL beats RMLNLU. Finals to begin in about half an hour. 14:15: Nalsar sweeps NLU-J Antitrust, beats CLC in the finals. Nalsar added 20 points to its kitty by winning the moot, the best memorandum, the best speaker and the best speaker in the finals award. It defeated CLC in the finals, which got 5 points. Second best memorandum award went to NLU Delhi and second best speaker award went to NUJS, while Symbiosis Pune bagged the best researcher award. Thanks to Arpita Sarkar from NLU-J for prompt and constant updates! 14:55: Fiat Justitia finalists announced: NUJS and NLU Delhi broke into the finals of the moot. The finals shall begin by 3.30 and get over by 5-5.30. 16:45: NLU-D Corp: Final arguments between RGNUL and NUJS over. Results anytime now! Thanks to Himanshu and Urvi for prompt updates and the pic! 18:15: RGNUL wins NLU-D Corp Law: RGNUL overcame NUJS to win the moot and also won best researcher and best memorandum awards in the process (it was tie for the best memorandum award with [[NLU Orissa]]). GLC Mumbai won the best speaker award. Thanks to Ruhi Paul for regularly confirming the updates! 18:20: NUJS beats NLU-D to grab Fiat Justitia trophy: Details as to other awards are awaited. NUJS becomes second team to cross the 100 points mark. 20:10: No news yet from Fiat as to best speaker and best memorandum. Will update the points table meanwhile and see who stands where. By the way, owing to the super six rounds, instead of semifinals, at Fiat Justitia, we are awarding 1.5 points each to the four teams that could not reach the finals (MPL Rules allot 3 points each to two semi finalists). Also, the best memorandum at NLU-D Corp Law was shared by RGNUL and NLU Orissa. Hence, the 5 points reserved for the best memorandum award shall be shared equally (2.5 each) by both. 22:00: GLC Mumbai gets best speaker and best memorandum at Fiat Jusititia: Finally confirmation from Fiat Justitia. GLC gains 10 5 more points and moves up in standings. An exciting day of mooting comes to an end. Nalsar manages to hold on the top spot with 119 points whereas NUJS sticks to second spot with 114 points, much ahead of NLU-D which is third with 85 points in kitty. See http://www.legallyindia.com/wiki/MPL_2_season_standings for details. The biggest gainer of the day, in terms of points, was RGNUL (earning 21.4 points) slightly ahead of Nalsar which scored 20 points. Third was NUJS with 18 points. 23:35: NUJS joins Nalsar at top spot: Owing to miscommunication from the organisers, it was previously reported that GLC won the best memorandum award. The organisers have just called up to rectify the same and have confirmed that the award was bagged by NUJS, putting it at the joint top MPL spot. With this, an exciting day of mooting comes to an end. NUJS joins Nalsar at the top spot, both teams being at 119 points, much ahead of NLU-D which is third with 85 points in kitty. See [[MPL 2 season standings]] for details. The biggest gainer of the day, in terms of points, was NUJS (earning 23 points) ahead of RGNUL (which earned 21.4 points) and Nalsar (which scored 20 points). Also, Sybiosis Law School Pune, NLU Orissa and V.M. Salgaocar became 32nd, 33rd and 34th colleges to enter the MPL2 tables. Thanks everyone for tuning in and commenting, it was an awesome interaction. Hope to see you soon with more live moot reporting. For Team MPL, this is Sanjay Khan signing off. Right there! If RGNUL manages to win both the moots, it will surely be a memorable Sunday. With 25 more points, RGNUL will be at a strong 5th position. And who knows, if they manage to bag few more awards, the ranking might improve even more. By the way, what do you think of other teams' standings? @Sanjay..first of all congratulations on such an ingenious initiative. the live blog is surely awe inspiring. as to your question, of course we are rooting for our school, but NUJS, like always, looks to be the gargantuan threat. congrats to RMLNLU as well for having a splendid run off late. and all the best to NLU J.
RGNUL Out in Semi Finals of the Surana Tech Moot. NLU J and NULAS reaches the final rounds. Thanks a lot! Live blogging is indeed a thrilling experience. Unfortunately, RGNUL is out of the race at Surana IT. It gets four points though and so does ILS. Both being tied at number 5 as now, will move up together. One can still be hopeful for its performance at NLU Delhi Corp. Correct, NUJS has performed pretty well overall this season. However, today it features in the top teams only in Fiat Justitia. That too amongst the last six as of now. Lets see how things turn out for them. Strong contender on any given day though. Come back college of the is Jodhpur. It has come back strongly today. Chance for it to win two titles here, already in the finals of Surana IT. Great going RGNUL...Wish u all the best and keep the spirit up. @Sanjay Khan...Thanks a lot for all your concern and support. Nalsar on top after NLU Anti Trust? Yes, with 20 more points, Nalsar stands at top with 119 points in total. A whopping 25 points ahead of NUJS. But NUJS and others also have a chance to bounce back in other moots. Lets see. Off for lunch now. Will see you all in 30 minutes with more updates. While Nalsar consolidated its lead by 20 more points, in the process becoming the first college to cross the 100 points mark, Symbiosis Pune became the 32nd entrant in MPL2. Its +91 9374072475. You could also mail at sanjay.khan[at]legallyind ia.com or mooting[at]legallyindia.com. Excellent Performance by RGNUL ppl after their new VC appointment in moots. You guys will rock soon. Congratulations to RGNUL Surana Team to reach into semifinals and gdluck to RGNUL for Final of NLUD Moot. 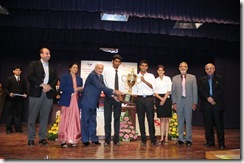 NUALS WON SURANA TECH BEATS NLU J IN FINAL. RGNUL won NLU D moot. And Best speaker and best memorial award as well. RGNUL Rocks scored 24 points in MPL 2 in a one day.. congratulations to all the team members . all are fourth year students. By reading all this i felt that Legally India is biased towards the NUJS as compare to other NLUs in India. I hope the NUJS ppl did not bribe for the same. Thanks for sharing your thoughts! Do let us know what made you feel that way. Will help us ensure that the neutrality reflects in a more effective way. @ 30 Guys lets not go into negative arguments .lets all celebrate the wining moments with all the respective colleges and their participates team member. RGNUL wins shows their real potential and hard work and their lust of wining. keep going guys. NUJS as usual expected victory you ppl are use to it, nthng new for u.
RGNUL ,NLU D and NULAS are the new face of progressive law schools in india. nujs is the best in mooting no doubt abt it. And itz not just because i won three mpost prestigoud moots but becaos we started a moot court society in which there was student participation. thats how u have to prepare for moots. once the tradition starts its very very difficult to loose. god only know how much hard work myself and my faculty advisor have put in to set up the infrastructure for fresh students to begin learning mooting. when i go to nls or nalsar i see no facilities there so i am amazed how they win a few moots. Also, Rgnul is not in raipur. or in raiour. @[mt]..i am 100% sure that you're NOT from NUJS..none in NUJS talks or writes like that..you're just a jobless moron pathetically trying to highlight your importance.. if NUJS had students like yoo, it wouldn't have reached the position that it has. get a life and stop irritating people. good work rgnul! we've only started doing well, so its a great feeling! NUJS won the Best Team, Best Memo, and 2nd Best Speaker awards. The Best speaker award was given to GLC Bombay. Will confirm the same with organisers and update the tables accordingly. Currently Nalsar is at top with 119 points and NUJS second with 114. @33 - You cannot be an NUJS Student at all. I can get that by reading your post. No one in NUJS would have posted such a rubbish as you did. @Sanjay - That means NUJS would top the chart after the confirmation ? Neha Mathen, 2nd year at NUJS won the best speaker for the semi-finals of the BCI moot. Are points alloted for that? 42: Yes that would have taken NUJS to the top spot. However, as mentioned above, both the awards were bagged by GLC Mumbai instead. NUJS, therefore, remains at second position. Legal Poet: MPL Rules, as they stand now, do not award any points for the best speaker in semifinals or finals. Only the overall best speaker gets points. @33, by claiming to be an NUJS students and calling yourself "[mt]" you are committing a serious case of identity theft. If you are trying to pass off as [mt] from NUJS, you are not doing a good job of it. We know [m], a mooter of unparalleled standing (winner, Vienna) and a true law school stud of his days, will have better things to do than write comments like that. Please clarify with AGLC, NUJS won best memorial. I just spoke to the winners. They have the trophy in their hand. GLC won an honourable mention for their memorial. Sanjay, NUJS won best memorial at Fiat Justitia. You can call Mr. Niranjan Rajagopalan of AGLC MCS at 09381803616. I have also spoken to the NUJS team. Last week you wrongly repoted that Bhargav won the 'Best Male Speaker' and kept us waiting for a day or two. While the concept of live blogging is exciting, please do not sacrifice accuracy for speed. Please confirm again, because best memo has been won by NUJS team, it has been informed by the team member . Why split the five points between the two law schools, RGNUL & NLUO ? Why not give them five points each? Just because they had to share that prize with each other doesn't mean that the value of the prize became any less. It doesn't make sense to split the points. Give them 5 points each. The info on fiat justitia is wrong ! it was NUJS which won the Best Memorandum award at Fiat Justitia and not GLC, Mumbai!!! GLC, Mumbai bagged the best speaker award!!! Thats correct! NUJS has won the best memorandum award and not GLC. The earlier reporting was due to some miscommunication from the organisers. We do take ample care before putting up the results. That is why despite various comments and messages coming in in reference to results, we did not put it up until we could confirm it with some authoritative person. In case of the best memorandum and best speaker award, I did confirm it twice, as there were already various comments that said NUJS has got them. Accuracy, I assure you, is never compromised for speed (the results for Fiat were put up almost 2 hours after the comments and messages started to come in). Do let us know if you have anymore suggestions! Good to see such enthusiasm! In Delhi corp law moot, RGNUL roasted the team of RMLNLU. The Lucknow team was left at the mercy of the judges. The [...] speaker was hilarious. Certain comments have been temporarily deleted. Will be put up in some time after due editing. Brilliant live blog Sanjay, wonderful read! The comments are back online now, with the false identity redacted. Thanks for catching the attempted identity theft and please don't continue to feed that troll. @48 re giving 5 points each to a shared award: we will generally try to avoid that as moots in the same tier should at most be worth the same number of total points - that is the point of the tier system after all. And congratulations to all the winning colleges and mooters! Why is the article in track changes??!! This season, performance of NUJS is awesome. i guess that is because it is live... am i ryt? Witnessed the close clash between NLU Delhi and NUJS. It was a moot, where someone has to win, because points cannot be same, but teams were equally good. I hope we will see the NLS and NALSAR next year in Fiat Justitia and promotion of this moot to Tier 4. NLU Delhi won second best memorandum award. IMHO every article relating to MPL2 should have a quick link box to the MPL2 scoresheet and the rules. Looks unprofessional when the writers have to put in the links in a piecemeal fashion. Just to bring to your notice that GLC's Best Speaker award at NLU-D has not yet been added to the season standings. Kindly do the needful. Thanks. 57: I guess Amity Moot will be held on 11-13 March! 59 and 61: Yes, that was done as it was a live blog and few corrections were made. 63: Generally in all the MPL stories, there is an MPL box containing the relevant quick links. Since it was a live blog, a separate quick link was inserted. Somehow it dint work then, but is functional now. 64: Thanks! Added now, GLC remains at 12th spot with 45.5 points.